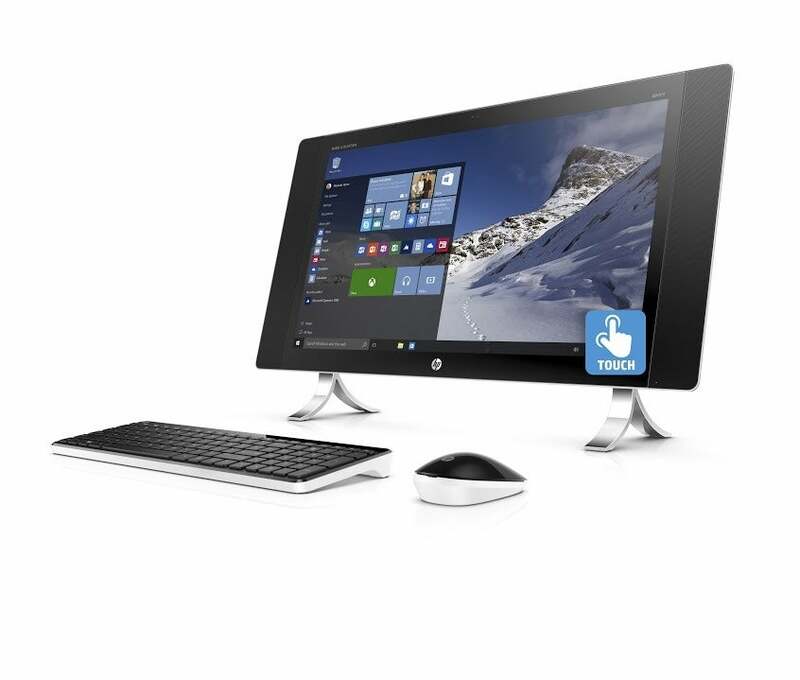 HP's Envy 34 features a curved panel and Skylake CPUs. Who says an all-in-one PC has to be boring? HP's Envy 34 features a luscious 34-inch curved panel and Intel's latest 6th-gen Skylake CPU. As the monitor upstages all else, HP didn't go cheap either. It's an IPS display for wide-viewing angles, with a resolution of 3440x1440. That gives it 4.9 million pixels and a 21:9 aspect ratio. HP says the Envy 34's display offers 99 percent of the sRGB color gamut and has Technicolor certification. You can dive deeper into what this means here, but in a nutshell, it means an ash silver web page, should appear to be, well, ash silver. The cool thing is the next time someone asks you if you want to see the world in Technicolor, you can say: "My Envy 34 already does it, doesn't your PC?" The CPU options include a Core i5 or Core i7 Skylake dual-core with integrated graphics as standard. Those who want a little more oomph can opt for a GeForce GTX 960A. Don't know what a GTX 960A is? Either do I, but Nvidia has offered special OEM versions of its GPUs for sometime. Usually that means it's slower than its consumer counterpart, but not always. RAM options include 8GB or 16GB of DDR4 and storage options vary from 128GB SSDs up to a 2TB hard drives and hybrid drives. The price for the Envy 34 starts at $1,800. 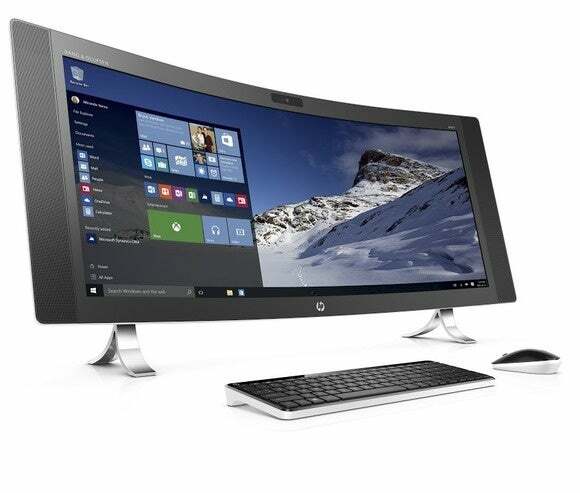 For those who don't have the room for a 34-inch PC, HP also introduced its Envy 24 and Envy 27. Both mirror the internal hardware of the Envy 34 with Skylake Core i5 and Core i7 chips and similar RAM and storage options. On these units though, HP is offering the option of AMD Radeon R7 or Radeon R9 graphics. Which particular GPUs wasn't disclosed. The panels, though flat instead of curved, are also Technicolor certified and offer resolutions from 1920x1080 up to UltraHD 4K. The 24-inch Envy starts at $1,000 and the 27-inch Envy comes starts at $1,200. 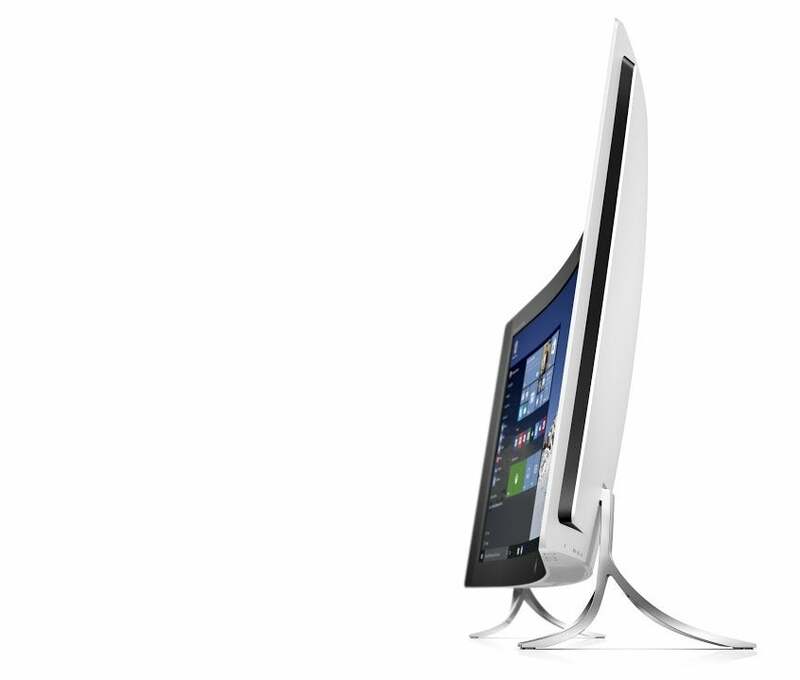 HP's non-curved Envy AIO's are also Technicolor certified.